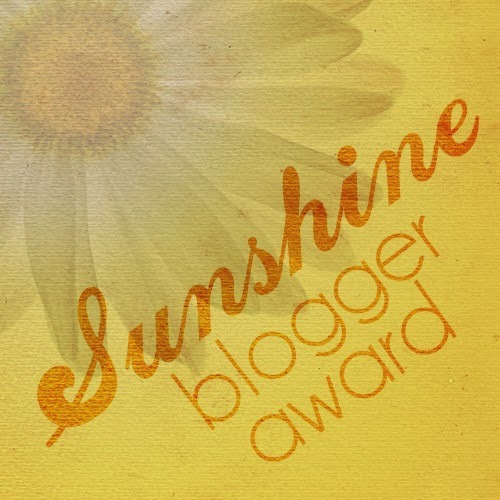 So this weekend I was nominated for the Sunshine Award by the lovely Dominique from Euphoria-xoxo so make sure you all check out her blog! This is an award for bloggers whose positive and creatively inspire others in the blogosphere. As I have not been blogging that long, I am so honored! So thank you so soo much Dominique! I hate going into an unorganized store. I try to stay clear of the Forever21 in my local mall because it looks like a tornado hit it. I dislike fish, I've tried it a number of times and I just cant do it. However I like lobster, shrimp, crab, calamari, and oysters. I try to eat a banana a day because my skin always look great when I do. I own one pair of sneakers and they're running shoes that I never use. After watching sinister I slept with my light on for two days. What is the best thing that has happened to you so far in your life? Meeting my best friends! I dont know what'd I do without them. Do you have any siblings? Yes, two older sisters. Mascara or false lashes? Mascara on an everyday basis, but I like using false lashes for special occasions. Where do you hope to see your blog in a year? Where do you do most of your online shopping? Lipstick, lipgloss or lip balm? Once again I want to thank Dominique from Euphoria-xoxo for the nomination! Hope you all enjoyed! 8 comments on "Sunshine Award!" Thank you so much! And I have followed you on bloglovin!